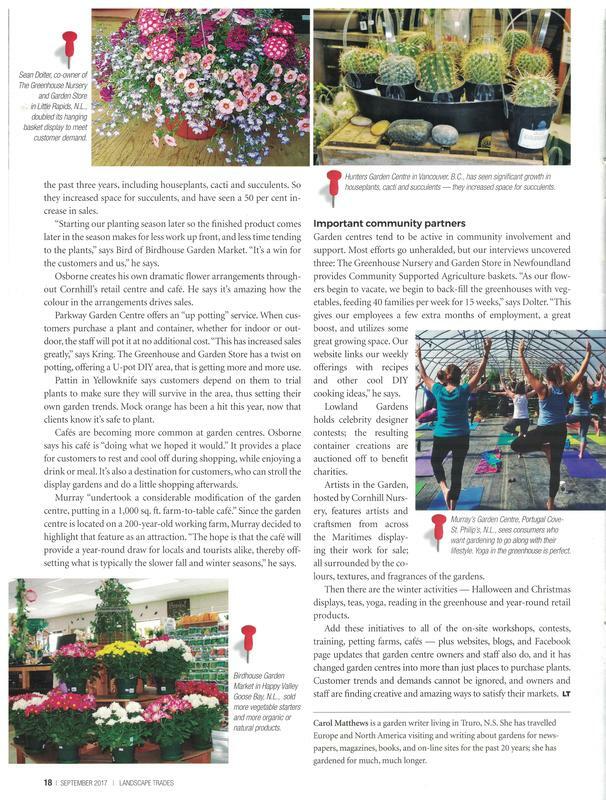 Birdhouse Garden Market Inc. has been in business for over 10 years. 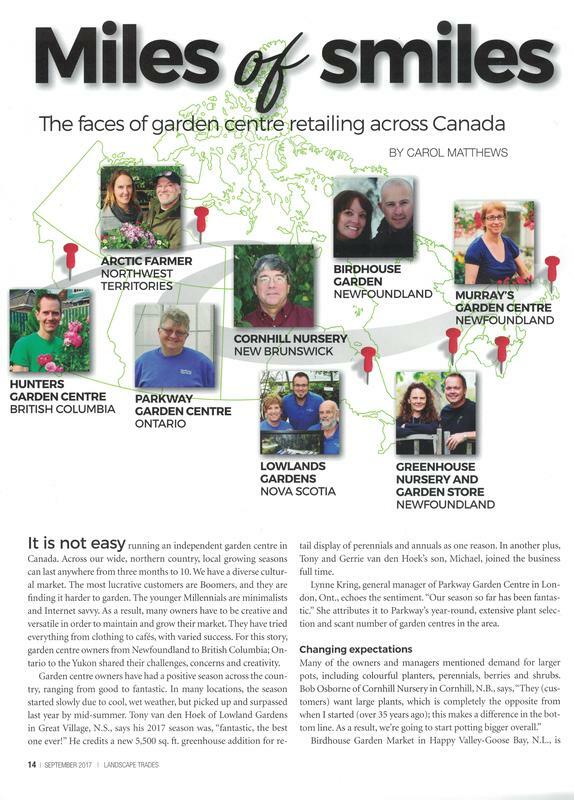 We are a greenhouse garden center located in Happy Valley-Goose Bay, Labrador, Canada. 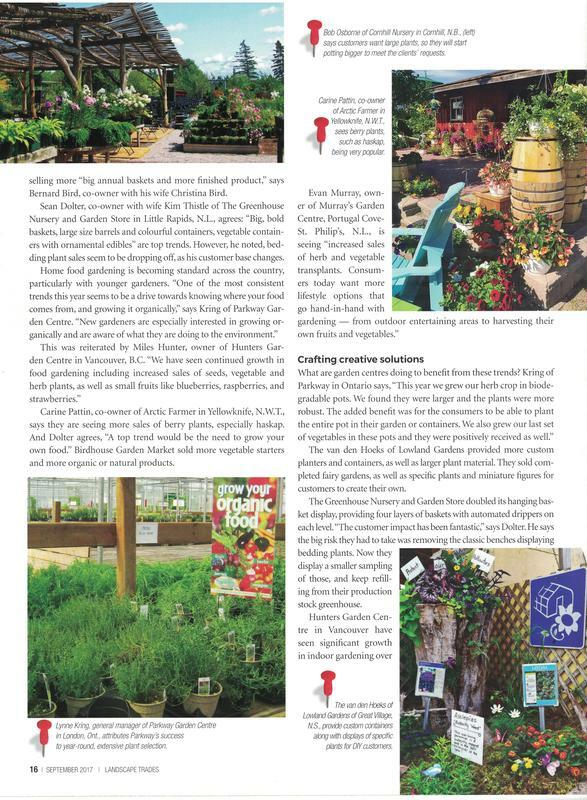 Our services include garden nursery plants, fertilizers, soils, hardware, landscape services, and cut flowers for all occasions. We are also an Arctic Spa hot tubs distributor! 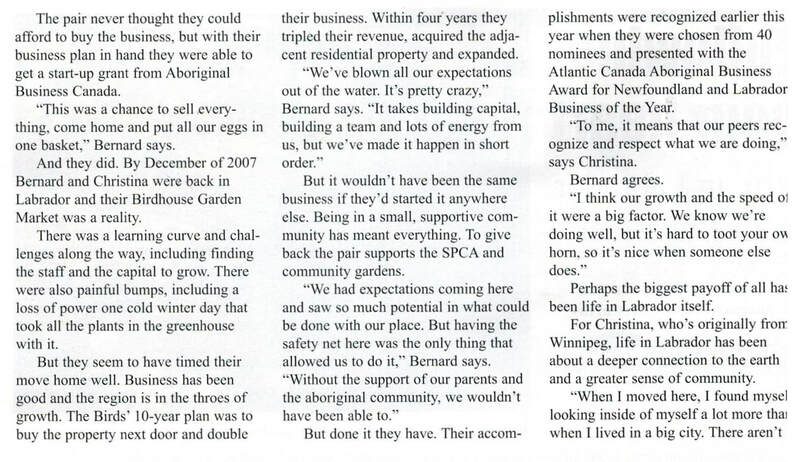 Bernard and Christina Bird are the sole owners of Birdhouse Garden Market Inc. Bernard is a full member of NunatuKavut which makes Birdhouse an aboriginal owned company. Christina brings many years experience as a Horticulturalist, Landscape Designer and Florist. 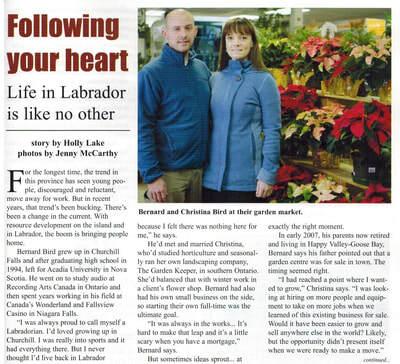 She has a diploma from Niagara College, Niagara on the Lake Campus in Landscape Design and Horticulture. 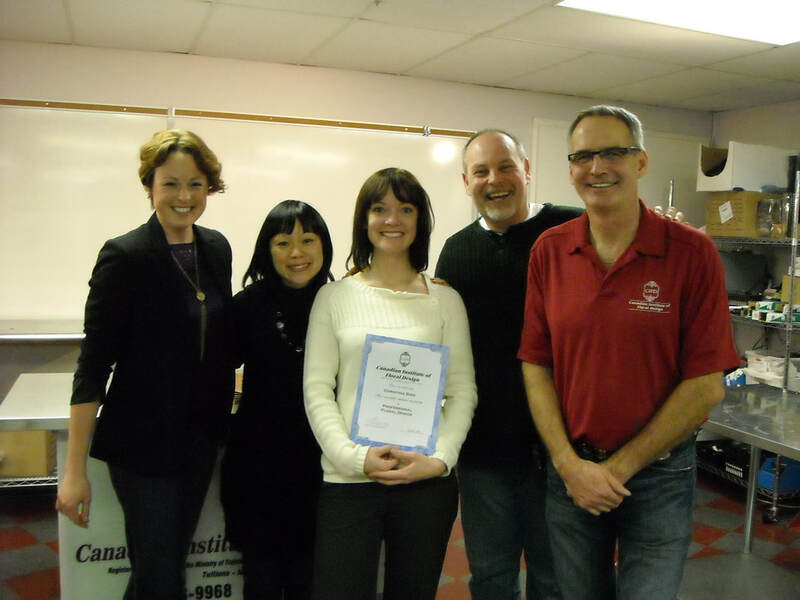 She also holds a certificate in Floral Design from the Canadian Institute of Floral Design in Toronto. 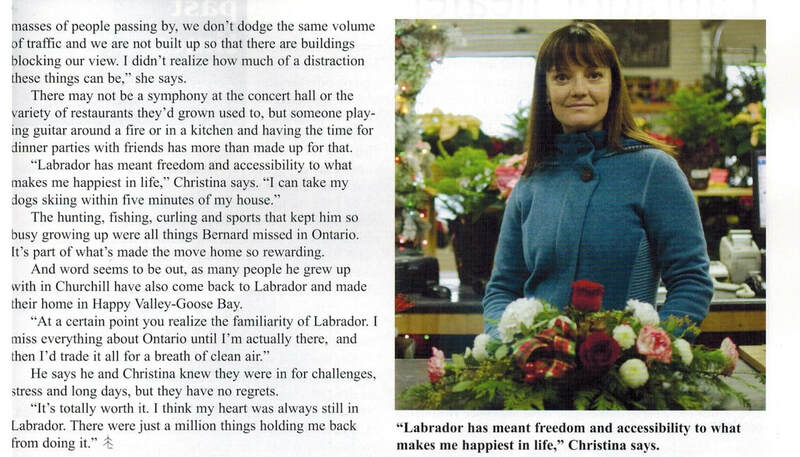 When not in her greenhouses or out in the gardens, she enjoys walking their two dogs and skiing in her spare time. Christina has also been an on-air contributor to the Radio Noon Gardening show on CBC Radio. Using her keen eye for the aesthetic, she has recently taken up photography. She's pretty fast on her skate skis too, watch out! 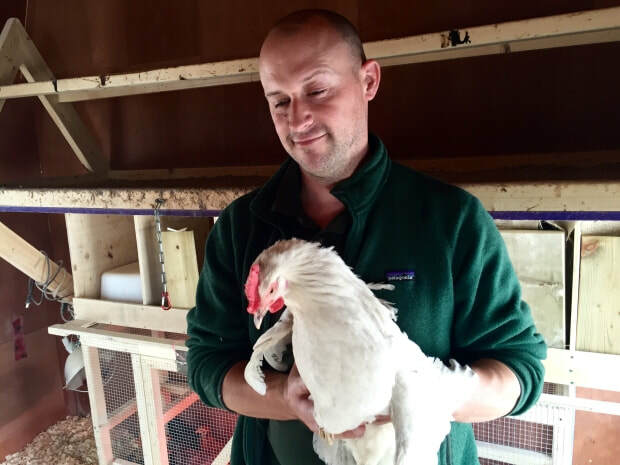 Bernard's responsibilities include, accounting, maintenance, landscaping, hot tubs and just about anything else that needs to be done for Birdhouse. He has attended Acadia University in Nova Scotia and Memorial University of Newfoundland before finishing a diploma in Audio Engineering and Music Production at Recording Arts Canada. 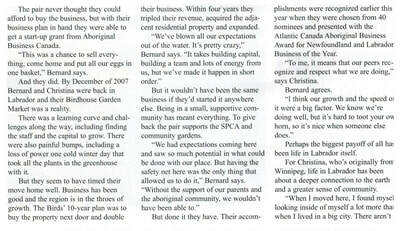 In addition to working at Birdhouse, Bernard also is the Lead Technician for the Lawrence O'Brien Arts Center in Goose Bay. ​Bernard enjoys curling, playing and participating in volleyball, and playing his guitar or bass guitar in his spare time.